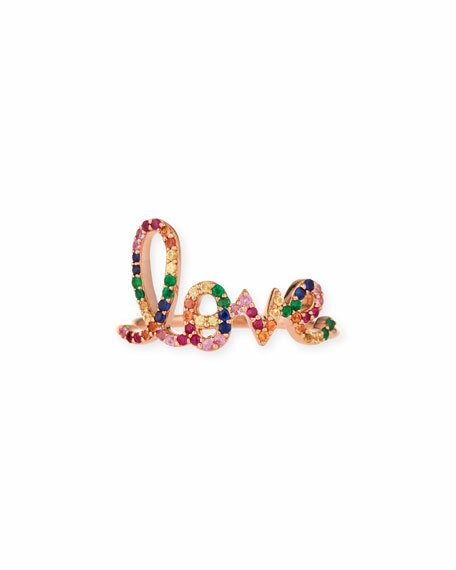 Sydney Evan large rainbow love ring. Polished 14-karat rose gold hardware. Prong-set rainbow sapphire love script.